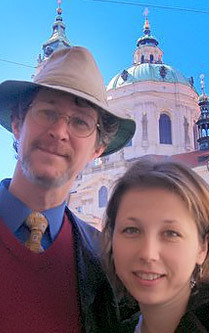 Started by Tom & Marie Zahn in 1994 to assist families tracing their roots throughout Central Europe. With the help of several skilled associates, we provide Genealogy Research for those seeking to expand their family tree, Ancestral Tours to help facilitate visits to places where ancestors once lived, and Local Contacts to pave the way for a meaningful visit, and if possible to locate living relatives. Helping Families to Find Their Roots since 1994We can also; Obtain digital copies of Archival Documents & Historic Maps, Translate old letters and documents, Book lodging & cultural events (theater, concerts, etc. ), Videotape your family reunion, or Photograph ancestral towns & villages. 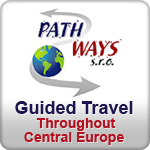 We also Provide Travel Services to Out of the Way Places For those who don't have roots in Central Europe, our services include Guided Travel for those who wish to discover Central Europe in the company of locals, finding suitable Lodging, and recommending activities compatible with the guest's own interests. We Can Help You Find Someplace Special In the Center of Europe. The mission of P.A.T.H. 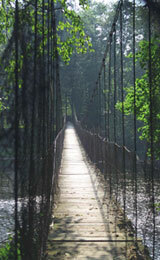 FINDERS is to provide a bridge to travel back in time. We take great pride in the fact that we not only collect names and dates, but that we make every effort to thoroughly answer questions, to help clients better understand their historical data. "Hi Tom and Marie! Thanks for the fabulous ancestral village trip! Jen and I had a wonderful day. Marie, thank you so much for your knowledge, sense of humor, and language skills. We learned so much about Czech history and the history of the immigrants to America. We appreciated your willingess to talk with us about many topics." Featured in "Travel & Leisure", Rick Steves "Prague & The Czech Republic"
© 1994-2016 P.A.T.H. Finders Intl.